I remember seeing things as a child. It began about the age of 5. I saw ghosts and spirits that would come into my room and talk to me. I’d talk back, having lengthy conversations until, at some point, I realized that no one else in my family had these sort of conversations. At about the age of 8, I remember sitting on the edge of my bed looking into a full length mirror and speaking about life, and suffering and what we, as people, need to do in order to have happiness in our lives. Looking back, I’m sure I was channeling some universal information, much like I do today in my work. Eventually I got the message that I was different but I didn’t want to be and so I stopped the conversations as much as possible. I’d drown them out with music or school work or sports. The information then began to come to me in my dreams; they were really more like premonitions. I’d have a sleeping dream or a lucid dream only to discover the events would actually play out in real life the next day. I began to see some frightening images around the age of 12, people suffering, more disturbed ghosts, etc. and that’s when I think I tried my hardest to get rid of what I now think of as a gift. It was in my late 20’s, when I began to understand that I had a rare gift and decided I wanted to develop tools to harness this ability, this power, in order to help others. I enrolled in a school with one main teacher who taught me techniques to deal with all the information that was suddenly flooding into me again. In school, I began to acquire "filters" to help me filter out information so that I could lead a more normal life. I learned to harness my gift and turn it on when it was appropriate and off when I needed to have boundaries. This allowed me some privacy from all that I was seeing, hearing and feeling. I began to understand what I was seeing and hearing and who I was communicating with. I was able to access certain wisdom beings to help me explain to people their truth and clear and heal other people's energy. These tools became invaluable to me as I began my career as a professional Intuitive Healer. I continued to take classes for several years and I apprenticed for another few years after that. I was lucky enough to live in Hawaii at that time where I was able to swim with wild dolphins almost every day. I developed an ability to communicate with them telepathically. It was through my communications with wild dolphins off the coast of Hawaii that I eventually got the message from spirit that I was ready to work with others. After working as an Intuitive Healer for 3 years, I found and began to study Buddhism. I can say now, having followed the Buddhist path for 12 years, that this cosmology has helped me exponentially in understanding my place in my own life and in the world around me. It has helped me understand the universal information I receive on a daily basis and has offered me Myself in a way I may have not found otherwise. It is a path I have chosen and I feel lucky to have found the teachings in this lifetime. I’ve now been working as an intuitive healer for 16 years and can honestly say that I absolutely love what I do! 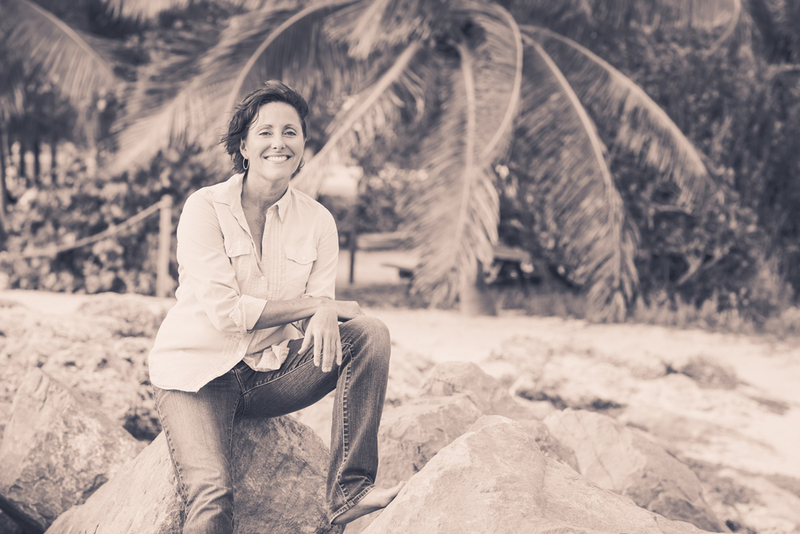 Angie Arkin is an internationally-known intuitive healer who offers readings and teachings to individual clients and businesses all over the world. She has discussed her work as an Intuitive Healer on TV programs and radio shows and has been featured in articles both here and in Europe. Angie currently lives in tropical Costa Rica. To schedule a private reading with Angie or for more information, call 305 240 0345.